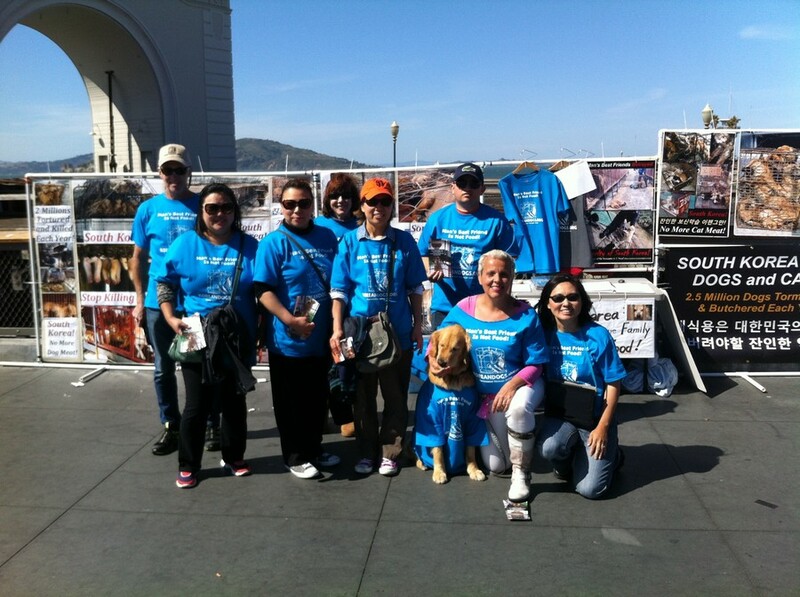 Our wonderful volunteers. Thank you! 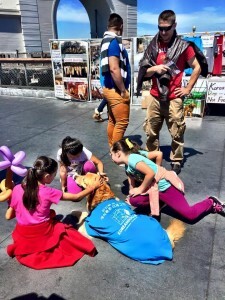 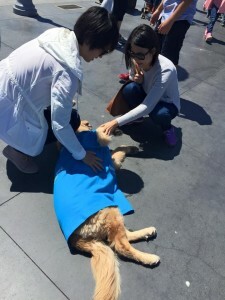 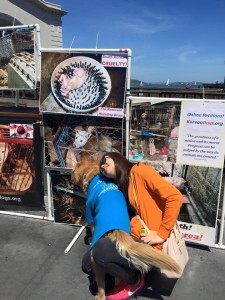 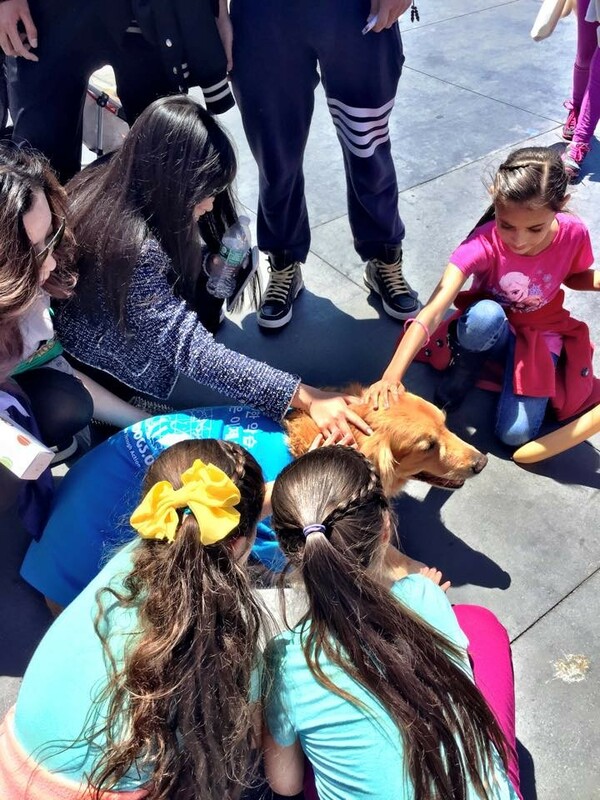 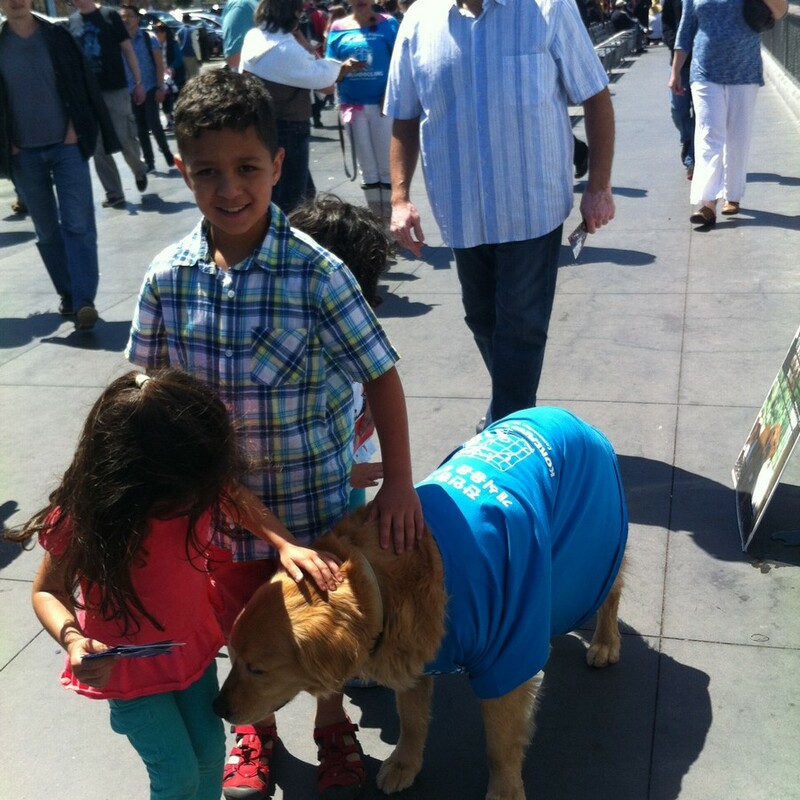 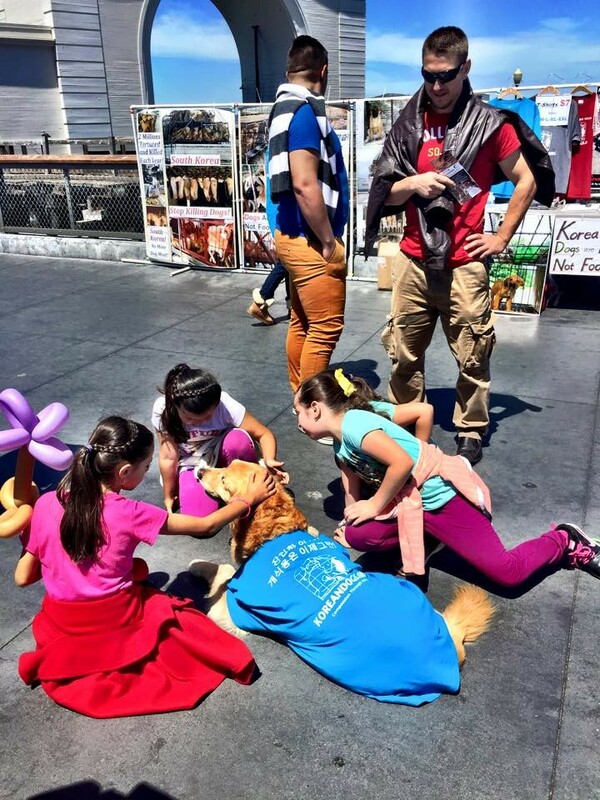 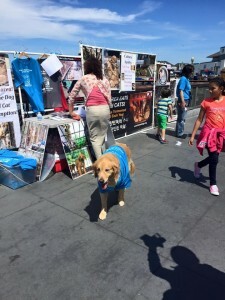 Thank you Daniela, Orso (the golden retriever), Kathy S., Don, Giny, Kathy Y., Cathy, Nancy and Andrew for your dedication to help end the horrific South Korean Dog Meat Trade and spending your Sunday advocating for the South Korean dogs in meat trade! 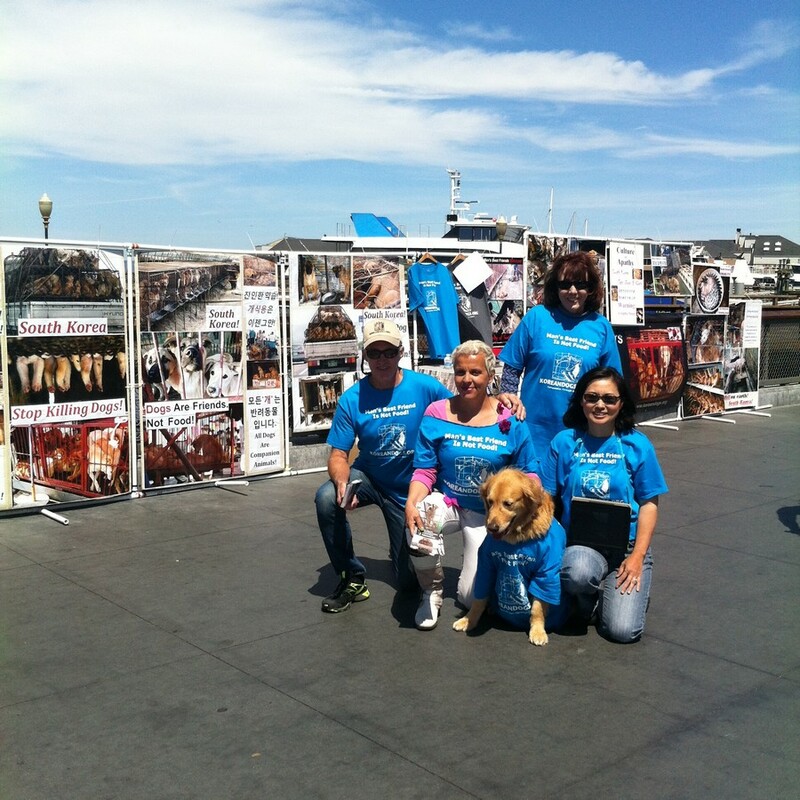 We are so grateful for your caring hearts and compassion. 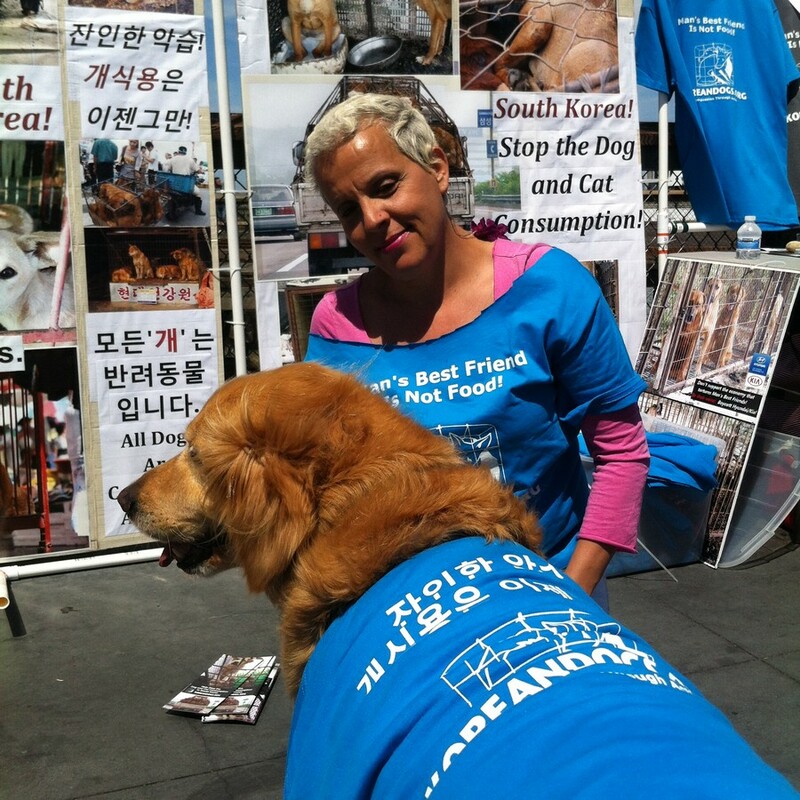 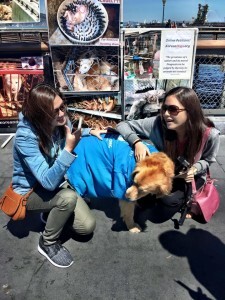 We had another great day of giving a voice to the voiceless South Korean dogs and cats. 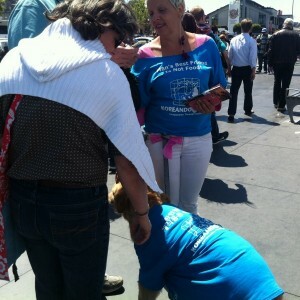 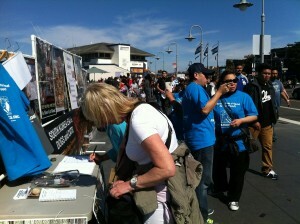 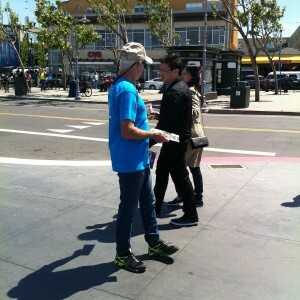 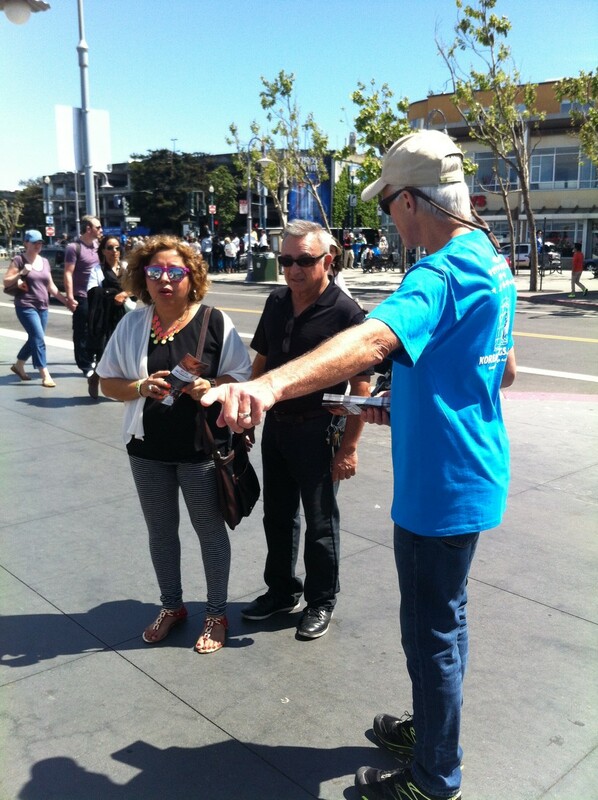 We handed out about 1000 leaflets and met so many people from all around the world. We also collected 190 signatures to our petition addressed to the South Korean President Geun-Hye Park. We also received donation in the amount of $10 and donated this to the fundraising: An exposé on the dog meat industry in South Korea. 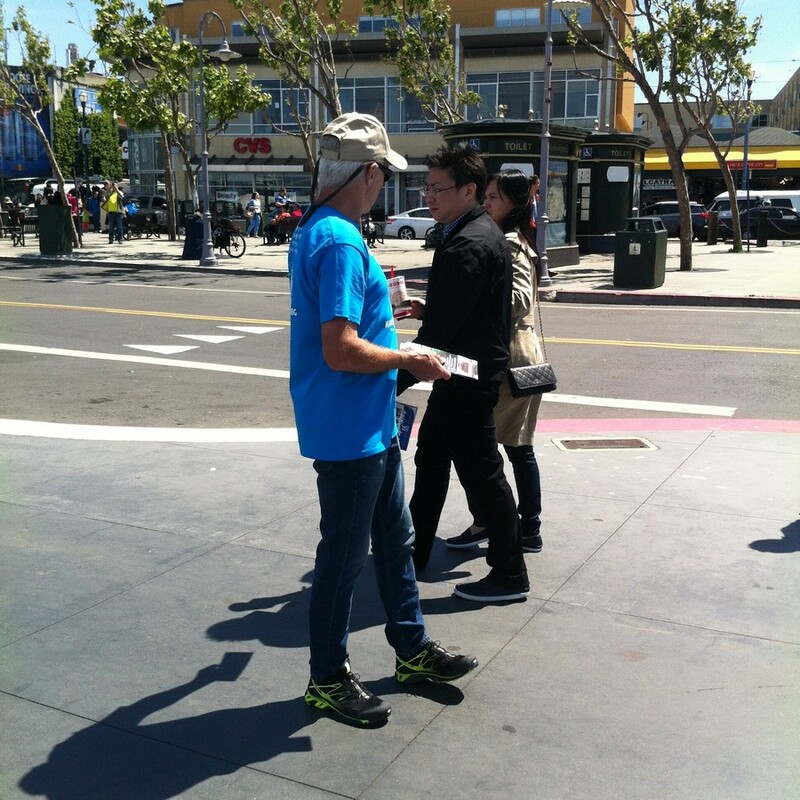 Update May 7, 2015: Petition signatures collected are mailed. 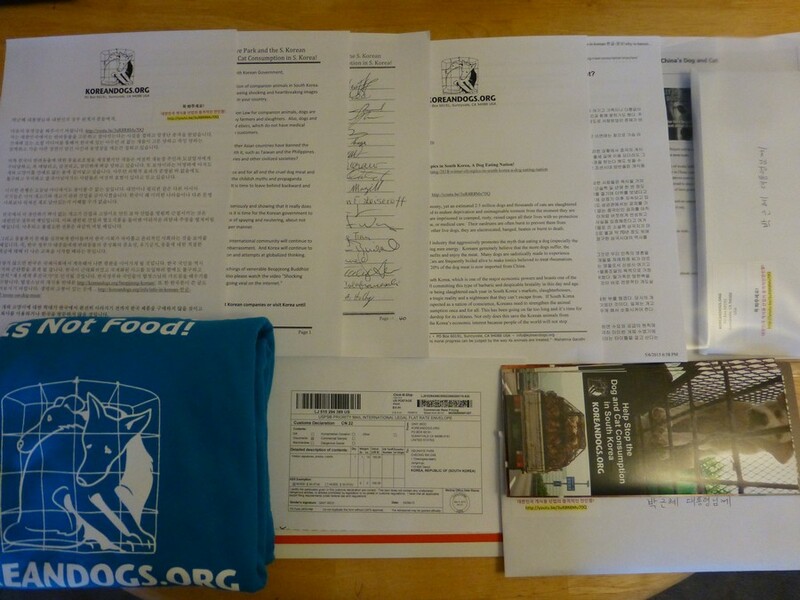 Petition package sent to the President Geun-Hye Park of South Korea on 5/7/2015 by USPS International Priority mail. 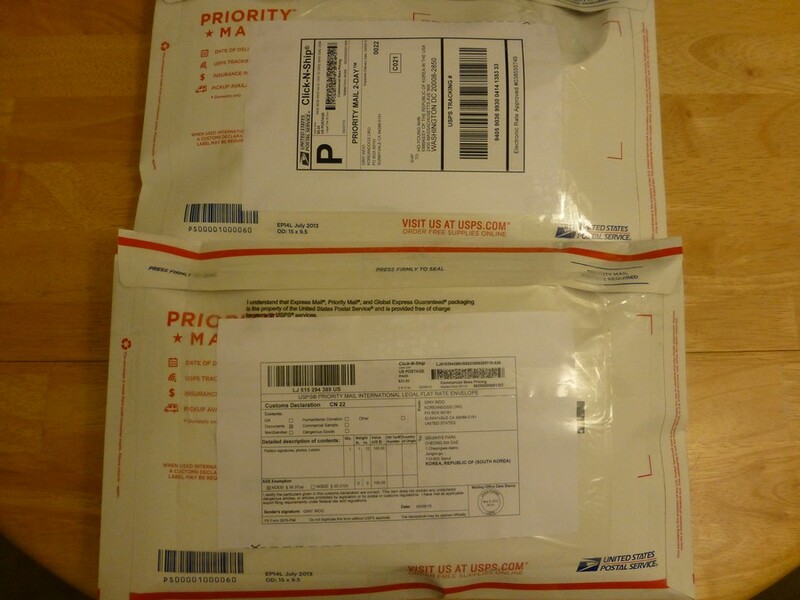 Petition signatures packages sent to the South Korean President Geun-Hye Park and the South Korean Ambassador Ho-Young Ahn in Washington D.C. on 5/7/2015. 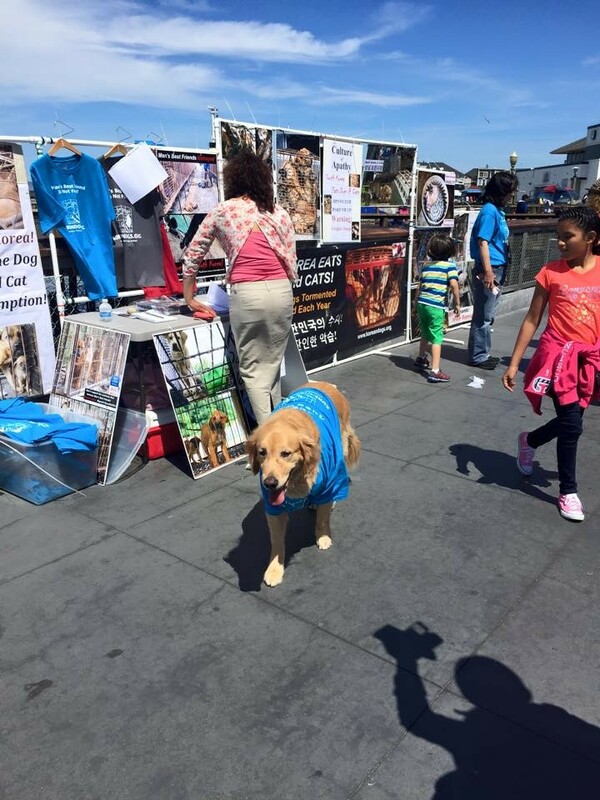 This horrific slaughter of inncoent aninals needs to end. South Korea is being looked at as a barbaric country for treatment of innocent animals. 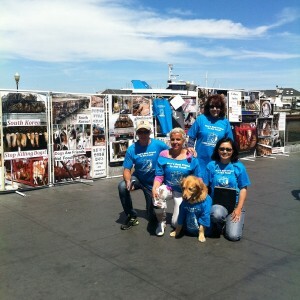 This sadistic meat trade needs to end.